The early history of Russia witnessed a collection of cities that gradually coalesced into an empire. In the 9th century, Viking tribes from Scandinavia, known as the Varangians moved southward into European Russia, tracing a path along the main waterway connecting the Baltic and Black Seas. 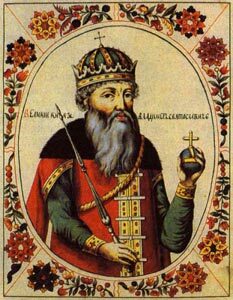 Vladimir was succeeded by Yaroslav the Wise, whose reign marked the apogee of Kievan Rus. In 1240, Kiev was destroyed by the Mongols, and the Russian territory was split into numerous smaller dukedoms. The Mongol Empire stretched across the Asian continent and Russia was put under the suzerainty of the Khanate of the Golden Horde. 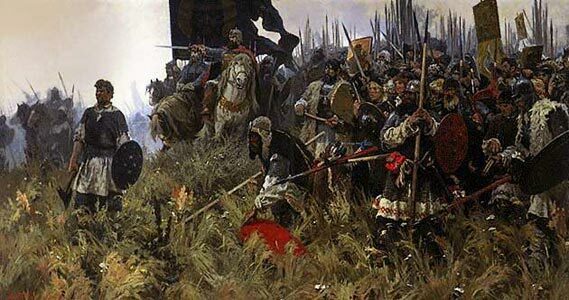 But in 1380 a Muscovite prince, Dmitry Donskoy, won a major battle against the Tatars under the command of Khan Mamai at Kulikovo Field. 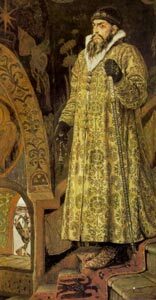 and although this hard-fought victory did not end Tatar rule of Russia, it did bring great fame to the Grand Prince Dmitry Donskoy. Soon after Ivan's death, the state weakened, plunging into a period of unrest and Polish invasion, known as the Time of Troubles. 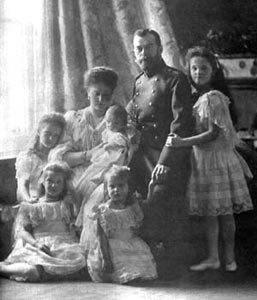 It ended by the reign of Mikhail Romanov, one of the closest surviving relatives of the royal family, as Tsar Michael Romanov. The Romanov dynasty was to rule Russia for the next 300 years until the 1917 Revolution brought an end to the Tsarist state. Russia remained largely medieval until the reign of Peter the Great (1689-1725), grandson of Michael Romanov. Peter made extensive reforms aimed at westernization and, through his defeat of Charles XII of Sweden at the Battle of Poltava in 1709, he extended Russia's boundaries to the west. In 1703 Peter started his most dramatic project - a brand new capital to be built from scratch on the Gulf of Finland. Over the next nine years, at tremendous human and financial cost, St. Petersburg sprang up. Peter assumed the title of Emperor and Russia officially became the Russian Empire in 1721. 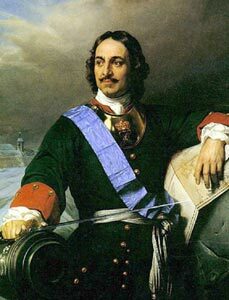 Peter the Great remains one of the most controversial figures in Russian history. 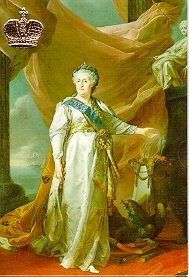 Catherine the Great (1762-96) continued Peter's westernization program and also expanded Russian territory, acquiring the Crimea, Ukraine, and part of Poland. Catherine was one the most powerful European monarchs, known as a great patron of the arts and literature. During the reign of Alexander I (1801-25), Napoleon's attempt to invade Russia was unsuccessful and his troops defeated in 1812, and new territory was gained, including Finland (1809) and Bessarabia (1812). Alexander originated the Holy Alliance, which for a time crushed Europe's rising liberal movement, which eventually led to the Russia revolution. 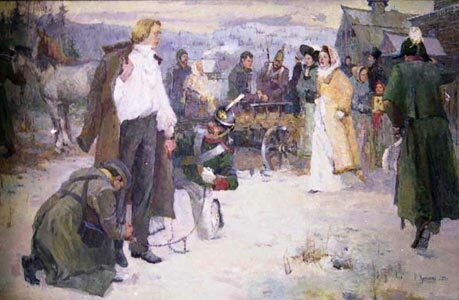 In the Decembrist revolt in 1825, a group of young, reformist military officers attempted to force the adoption of a constitutional monarchy in Russia by preventing the accession of Nicholas I. They failed utterly, and Nicholas became the most reactionary leader in Europe. Alexander II (1855-81) pushed Russia's borders to the Pacific and into central Asia. Serfdom was abolished in 1861, but heavy restrictions were imposed on the emancipated class. Revolutionary strikes, following Russia's defeat in the war with Japan, forced Nicholas II (1894-1917) to grant a representative national body (Duma), elected by narrowly limited suffrage. It met for the first time in 1906, little influencing Nicholas in his reactionary course. The First World war of 1914 brought another crisis. Hit by military losses and severe food shortages, Russia's economy collapsed. Riots broke out in Petrograd. Nicholas II abdicated on March 2, marking the end of imperial rule in Russia. He and his family were killed by revolutionists on July 16, 1918. A shaky coalition of political parties was formed, declaring itself the Provisional Government. They set up headquarters in the winter residence of the Russian Tsars - the Winter Palace. On Nov. 7, 1917, the Bolshevik revolution, engineered by N. Lenin (Lenin was the pseudonym taken by Vladimir Ilich Ulyanov) and Leon Trotsky, overthrew the Kerensky government and authority was vested in a Council of People's Commissars, with Lenin as premier. Bolsheviks enjoyed support in Petrograd and Moscow, but were far from controlling the whole country. A bitter civil war broke out. The key players were the Red Army organised by the Bolsheviks and the White movement made up of Russia's political and military forces that opposed them. The country was in chaos until 1922, when the Bolsheviks had largely won. The Union of Soviet Socialist Republics was established as a federation on Dec. 30, 1922 and the New Economic Policy started which installed the community (called soviets) as owners of land and property. The new nation only had four members: the Russian, Ukrainian, Belarusian and Transcaucasian Soviet republics. Their number shifted over the years, finally settling at 15. Moscow regained its status as capital soon after the revolution, becoming the centre of the new state's power. From day one the Soviet government was based on the one-party rule of the Communist Party that the Bolsheviks eventually transformed into. 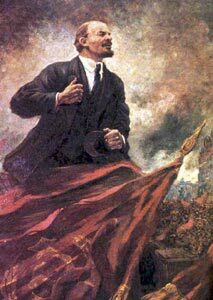 The death of Lenin on Jan. 21, 1924, precipitated an intraparty struggle between Joseph Stalin, general secretary of the party, and Trotsky, who favored swifter socialization at home and fomentation of revolution abroad. Trotsky was later dismissed and killed abroad. Stalin further consolidated his power by a series of purges in the late 1930s, liquidating prominent party leaders and military officers. Stalin assumed the premiership May 6, 1941. After gaining power, Stalin immediately set the country on a different course. The NEP (New Economic Policy - that allowed some private ventures: small businesses or shops, for instance, to reopen for private profit while the state continued to control banks, foreign trade, and large industries) was scrapped and replaced by five-year economic plans dictated from the top. This plans (pyatiletkas) aimed at swift accumulation of capital resources through the buildup of heavy industry, the collectivization of agriculture, and the restricted manufacture of consumer goods. For the first time in history a government controlled all economic activity. As a part of the plan, the government took control of agriculture through the state and collective farms (kolkhozes). Many peasants strongly opposed regimentation by the state, often slaughtering their herds when faced with the loss of their land. The combination of bad weather, deficiencies of the hastily established collective farms, and massive confiscation of grain precipitated a serious famine and several million peasants died of starvation, mostly in Ukraine and parts of southwestern Russia. While the Five-Year Plans were forging ahead, Stalin was establishing his personal power. The NKVD gathered in tens of thousands of Soviet citizens to face arrest, deportation, or execution. Stalin's repressions created a vast system of labour camps managed by a government agency known by its acronym Gulag. The convicts' labour, especially in Siberia, became an important part of the industrialisation effort. An estimated 18 million people passed through the Gulag system, famously described by novelist and historian Aleksandr Solzhenitsyn. Stalin's policies quickly propelled the USSR from an agricultural state to a major industrial powerhouse. In 1934 the doctrine of socialist realism emerged, which would dominate Soviet culture for decades. It championed optimism, exuberance, comradely devotion and education over entertainment. Parades and public demonstrations became widely used to promote a single Soviet identity of order, patriotism and harmony. Soviet foreign policy, at first friendly toward Germany and antagonistic toward Britain and France and then, after Hitler's rise to power in 1933, becoming anti-Fascist and pro-League of Nations, took an abrupt turn on Aug. 24, 1939, with the signing of a nonaggression pact with Nazi Germany. The next month, Moscow joined in the German attack on Poland, seizing territory later incorporated into the Ukrainian and Belarussian S.S.R.'s. The war with Finland (1939-40) added territory to the Karelian S.S.R. set up March 31, 1940; the annexation of Bessarabia and Bukovina from Romania became part of the new Moldavian S.S.R. on Aug. 2, 1940; and the annexation of the Baltic republics of Estonia, Latvia, and Lithuania in June 1940 created the 14th, 15th, and 16th Soviet Republics. The illegal annexation of the Baltic republics was never recognized by the U.S. for the 51 years leading up to Soviet recognition of Estonia, Latvia, and Lithuania's independence on Sept. 6, 1991. 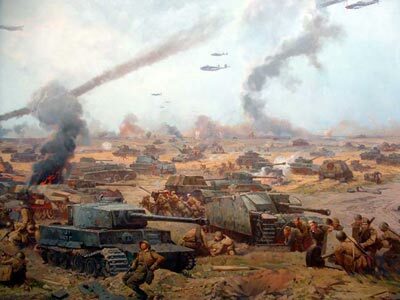 The Soviet-German collaboration ended abruptly with a lightning attack by Hitler on June 22, 1941, which seized 500,000 square miles of Russian territory before Soviet defenses. By the end of 1941, the Germans had seized most of the Soviet Union's western territory and surrounded Leningrad. Leningrad's horrific siege was one of the most lethal in world history. It lasted for 900 days, from September 1941 to January 1944. The city's civilian population of almost three million refused to surrender, even though they were completely surrounded. Somehow, the city survived, its heroic resistance summed up in the motto: "Troy fell, Rome fell, Leningrad did not fall". The blockade took the lives of at least 670,000 people, although some estimates suggest that as many as 1.5 million people died. The city became the symbol of Soviet resilience and invincibility. The German troops threatened to capture the capital, Moscow yet Red Army threw off the German forces from Moscow in a successful counterattack. The Soviet resurgence at Stalingrad from Nov. 1942 to Feb. 1943 that is called one of the most brutal standoffs in human history. The horror of Stalingrad lasted for 199 days, costing an estimated 1.5 million lives from both sides. The besieged city quickly turned into a meat grinder. The Soviet losses were so great that, at times, the life expectancy of a newly arrived soldier was less than a day. The battle of Stalingrad marked the turning point in a long battle ending in the final offensive of Jan. 1943. By the end of 1944, the front had moved beyond the 1939 Soviet frontiers into eastern Europe. Soviet forces drove into eastern Germany, capturing Berlin in May 1945. The number of Soviet deaths was at first grossly distorted - the figure Stalin gave in 1946 was seven million. The USSR's losses are now estimated at about 26.6 million, accounting for half of all WW2 casualties. The memory of the war, referred to as the Great Patriotic War, is particularly venerated in Russia. In the USSR the end of the war was considered to be May 9, 1945, when the German surrender took effect. The date has become a national holiday - Victory Day - and is commemorated in a grand military parade on Red Square. The U.S.S.R. built a cordon of Communist states running from Poland in the north to Albania and Bulgaria in the south, including East Germany, Czechoslovakia, Hungary, and Romania, composed of the territories Soviet troops occupied at the war's end. With its Eastern front solidified, the Soviet Union launched a political offensive against the non-Communist West, moving first to block the Western access to Berlin. The Western powers countered with an airlift, completed unification of West Germany, and organized the defense of Western Europe in the North Atlantic Treaty Organization (NATO). The conflict between Soviet and U.S. national interests, known as the Cold War, came to dominate the international stage in the postwar period. 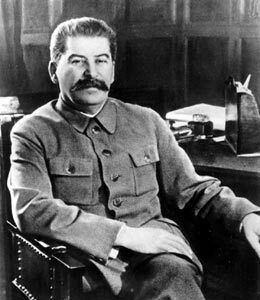 Stalin died on March 6, 1953, and was succeeded the next day by G. M. Malenkov as premier. Stalin's policies and legacy didn't outlive him. In 1956, Stalin's successor, Nikita Khrushchev, kicked off a campaign of "de-Stalinization". His speech to a closed session of the Communist Party Congress denouncing Stalin's dictatorial rule caused a storm. The so-called "Khrushchev's Thaw" followed - less political controls and censorship, more openness and a rise in living standards. The long rule of the next Soviet leader - Leonid Brezhnev - was dubbed "stagnation". The country entered a decade-long standstill, its rigid economy slowly weakening and its political climate growing increasingly pessimistic. Bureaucracy, threatened by Khrushchev's reforms, flourished. Years of neglect, both on the farms and in the factories, led to shortages of food and consumer goods. Soviet citizens had to queue for basic necessities and the standard of living dropped. In addition it the Brezhnev's period brought a nine-year Soviet War in Afghanistan. Shortly before Brezhnev's death, Moscow dazzled the world with arguably the biggest extravaganza of Soviet times: the 1980 Summer Olympics. Yuri V. Andropov, was chosen to succeed Brezhnev as general secretary. By mid-June 1983, Andropov had assumed all of Brezhnev's three titles. 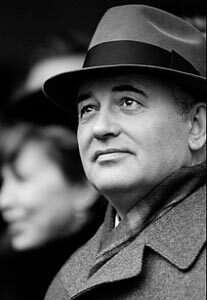 After months of illness, Andropov died in Feb. 1984. Konstantin U. Chernenko, a 72-year-old party stalwart who had been close to Brezhnev, succeeded him as general secretary and, by mid-April, had also assumed the title of president. After 13 months in office, Chernenko died on March 10, 1985. He had been ill much of the time and left only a minor imprint on Soviet history. Chosen to succeed him as Soviet leader was Mikhail S. Gorbachev, at 54 the youngest man to take charge of the Soviet Union since Stalin. Under Gorbachev, the Soviet Union began its long-awaited shift to a new generation of leadership. He taught the world two new words: "perestroika" and "glasnost". Mikhail Gorbachev announced perestroika in an attempt to modernize Soviet communism, and made significant changes in the party leadership. Gorbachev's radical changes included ban on alcohol drinks (war on vodka largely failed), releasing political prisoners, attempt to revitalize the Soviet economy by loosening up a bit on social control, a number of economic and social reforms. Gorbachev also denounced 70 years of religious oppression, withdrewn Soviet troops from Afghanistan. 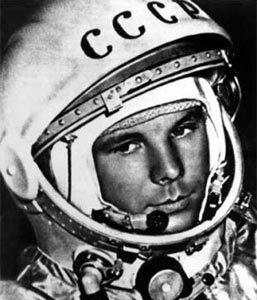 he decided that the USSR would no longer meddle in the affairs of East European Soviet satellite states. One by one, their governments collapsed in a string of anti-communist revolutions, culminating in the fall of the Berlin Wall in November 1989. But transition to a consumer based economy was painful. The end of the 1980s saw a huge budget deficit and sky-high inflation. Severe shortages of basic food supplies led to the reintroduction of the war-time system of rationing. Endless lines formed outside every store. For its part, "glasnost" lost some credibility right at the start when it was discovered that the government was slow to admit the infamous Chernobyl disaster in April 1986 - the worst nuclear power plant accident in history. Control over the constituent republics was also relaxed, and they began to assert their national sovereignty over Moscow. In March 1990 Gorbachev became the President of the Soviet Union, the first and only man to hold the rank. In the Russian Republic, Yeltsin was elected chairman of the Parliament, taking a lead in the independence movement. Large scale strikes shattered the Communist Party's traditional claim to be the representative of workers' rights. Demonstrations against the government and the party intensified. The summer 1991, the radical reform movements became strong enough to openly defy the government. On August 18, party conservatives made a desperate bid for power. A group led by Defense Minister Dmitry Yazov and Vice President Gennady Yanayev detained Gorbachev at his country retreat in the Crimea. After he refused to support the imposition of military law, the head of state was placed under house arrest. The next morning the coup leaders issued the announcement that Gorbachev had resigned and that a state of emergency had been declared. 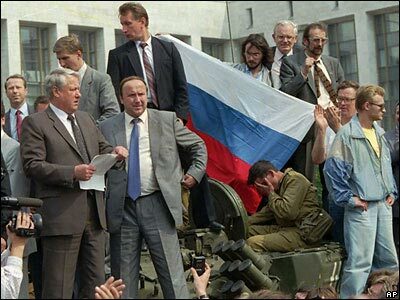 Military units were dispatched to enforce the authority of the new government, but they were met with overwhelming popular protest led by Yeltsin and the other presidents of the republics. After three days the attempted coup had collapsed. Gorbachev was reinstated, only to realize that his position had become completely obsolete. By the end of the year the Soviet Union had been voted out of existence, to be replaced by a Commonwealth of Independent States (CIS). On December 25, Gorbachev resigned, and on midnight of December 31, the Soviet flag atop the Kremlin was replaced by the Russian tricolour. At the start of 1992, Russia embarked on a series of dramatic economic reforms, including the freeing of prices on most goods, which led to an immediate downturn. A national referendum on confidence in Yeltsin and his economic program took place in April 1993. To the surprise of many, the president and his shock-therapy program won by a resounding margin. Yeltsin convened a constitutional conference in June, which adopted a draft constitution in July. In September, Yeltsin dissolved the legislative bodies left over from the Soviet era. The impasse between the executive and the legislature resulted in an armed conflict on Oct. 3 with vice-president Rutskoi opposing the orders of Yeltsin and barricading the White House. Yeltsin prevailed largely through the support of the military which bombed the White House and arrested the Rutskoi and the opposing parliament members. The constitutional referendum on Dec. 12 was a victory for Yeltsin, but the parliamentary election on the same day saw the rise of the extreme nationalist Vladimir Zhirinovsky, with Western-oriented parties performing relatively poorly. The cohesion of the Russian Federation was also threatened when the republic of Chechnya attempted to break away, leading to the First and Second Chechen Wars. Economic reforms also consolidated a semi-criminal oligarchy with roots in the old Soviet system. Advised by Western governments, the World Bank, and the International Monetary Fund, Russia embarked on the largest and fastest privatization that the world had ever seen in order to reform the fully nationalized Soviet economy. By mid-decade, retail, trade, services, and small industry was in private hands. Most big enterprises were acquired by their old managers, engendering a new rich (Russian tycoons) in league with criminal mafias or Western investors. By the mid-1990s Russia had a system of multiparty electoral politics. But it was harder to establish a representative government because of two structural problems-the struggle between president and parliament and the anarchic party system. In 2000, the new acting president defeated his opponents in the presidential election on March 26, and won a landslide 4 years later. Putin was very much a mystery he first burst onto Russia's political scene Throughout his presidential terms and into his second term as Prime Minister, Putin has enjoyed high approval ratings from the Russian public. He is credited with bringing political stability and re-establishing the rule of law. During his eight years in office, due to strong macroeconomic management, important fiscal policy reforms, and a confluence of high oil prices, surging capital inflows, and access to low-cost external financing, Russia's economy bounced back from crisis, seeing GDP increase by 72% in PPP (sixfold in nominal), poverty cut more than half, and average monthly salaries increase from $80 to $640, or by 150% in real rates. Analysts have described Putin's economic reforms as impressive. 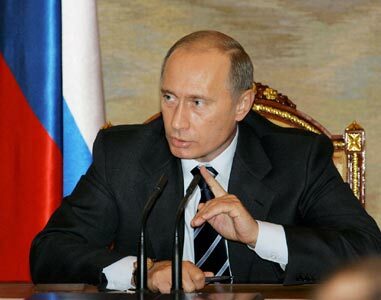 During his presidency, Putin passed into law a series of fundamental reforms, including a flat income tax of 13%, a reduced profits tax, and new land and legal codes. At the same time, his conduct in office has been questioned by domestic political opposition, foreign governments, and human rights organizations for leading the Second Chechen War, for his record on internal human rights and freedoms, and for his alleged bullying of the former Soviet Republics.